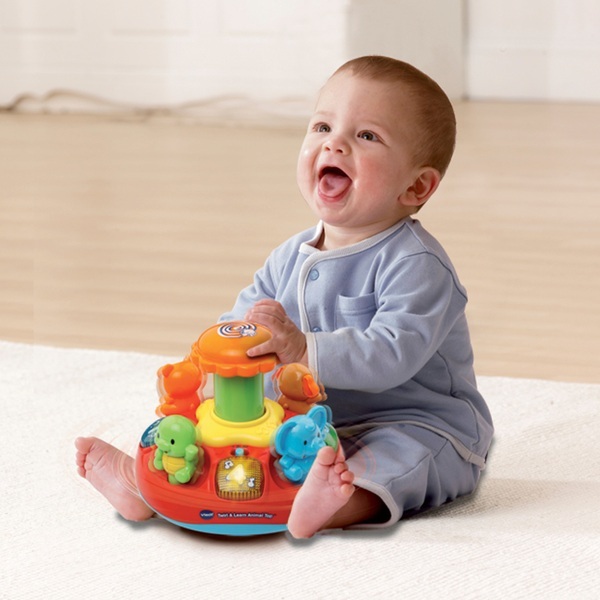 Discover animals, shapes and numbers with the Push & Play Spinning Top! The plunger spins the animals around and plays fun spinning sound effects. The 4 animals introduce themselves and sing a song to baby. Press the 4 light-up shape buttons to hear shapes and numbers. Includes 7 songs and 20 melodies.